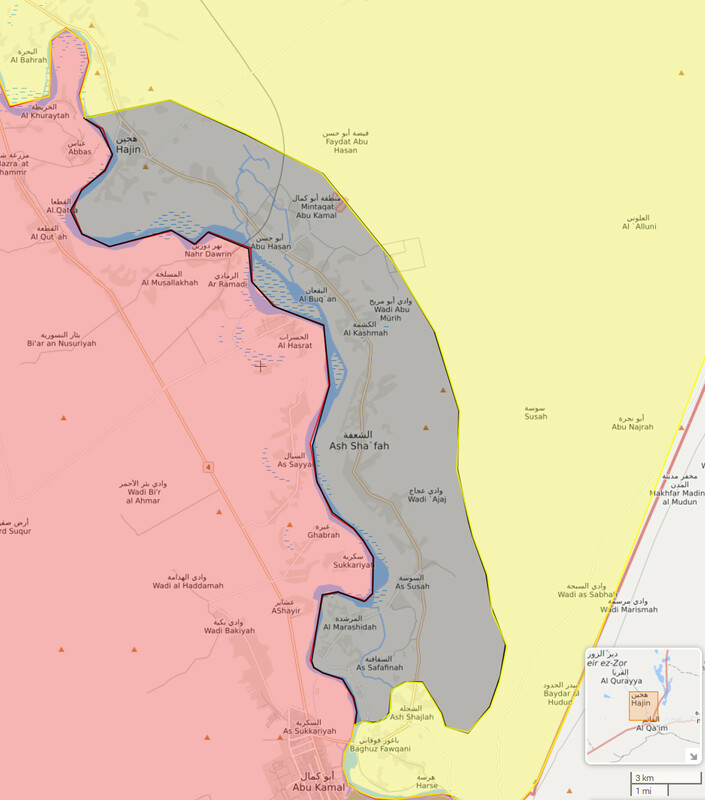 The U.S. occupation force and its Kurdish proxy SDF in northeastern Syria are supposed to fight the Islamic State in its last hold out northeast of Euphrates. But the operations against the handful of towns ISIS (grey) still holds – launched only after long and unexplained delays – shows little progress. Last week it received a serious setback. Now we see what is happening on the left bank of the Euphrates. Probably, our colleagues know: this territory is under the patronage of our American partners. They rely on the Kurdish armed forces.But they have obviously left a loose end: ISIS remains in several locations and has begun to expand its area of influence recently. They took 130 families hostage – almost 700 people. This is just horrifying. It is a tragedy I think. We need to do something about it. Why do our colleagues keep silent?According to our information, several US and European citizens are among the hostages. Two US-led coalition’s F-15 fighter jets have mistakenly targeted Kurdish units amid their offensive on the remaining forces of Islamic State (IS, formerly ISIS/ISIL) terrorists in Syria, RIA reported, citing a “military and diplomatic source.” It said six people were killed and 15 injured on the Kurdish side.The incident, which took place near the town of Hajin in the Syrian eastern Deir ez-Zor province, did not just disrupt the operation but also reportedly led to numerous defections in the ranks of Syrian Democratic Forces (SDF). Even worse, the terrorists managed to seize some territories in the area, the source added. 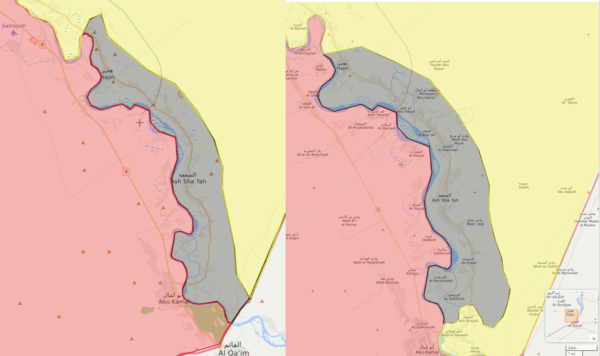 During five and half months ISIS only lost some five miles of territory at the northern and southern ends of the small area it holds. How come the well supplied Kurdish forces under the direction of U.S. Special Forces and with strong artillery and air support are not able to achieve more against some 1-2,000 jihadis who lack heavy weapons and have no way to resupply? “The imitation of the fight against terrorists in this region of Syria has been going on for more than six months and has been used by Washington to justify its illegal presence in this country,” the source stressed. The Syrian Observatory also reports of a constant stream of targeted assassinations and small attacks against SDF forces including by ISIS sleeper cells within the SDF held area. Many IED’s are buried in the wider area and hinder troop movements as well as reconstruction. Nearly all these attacks are on the small ISIS held area northeast of the Euphrates. The report mentions hits on “staging areas” and “assembly area sites”. But what does that actually mean? Isn’t any empty space a potential staging or assembly area site? And what is the engagement of a “tactical unit” supposed to mean? A bomb drop near some lone dude on a motorcycle? The last four weekly summaries list a total of 349 strikes and 546 “engagements” but none of these seem to have had any effect on ISIS numbers or capabilities. Despite the high strike number there is no progress on the ground. The current bombing campaign reminds one of the fake U.S. air campaign against ISIS in 2014 and 2015 (see table at bottom). Back then “ISIS excavators” were the most serious targets the U.S. reports mentioned. Back then it was also Russia that exposed the fake fighting and demonstrated how to really clobber ISIS. “The military operations in Hajin will take much longer than expected,” said Redur Khalil, a top SDF commander.”Daesh is benefiting a lot from weather factors, including sandstorms. They’ve helped it take cover from reconnaissance aircraft and other monitoring mechanisms,” he told AFP, using an Arabic acronym for IS. For the record – the recent series of sandstorms in the area ended several days ago.